Maybe you’ve listened to our latest show. It’s a pretty good one, but Bel forgot to put the stinger at the end so don’t worry too much about that. Anyway, it’s about Chroma Squad, and I’m not exactly shy about how much I like this game. It’s a serious contender for the best game I’ve played this year. It’s silly, it’s campy, it’s fun, and it knows it’s all of these things and totally leans into it. It’s full of little nods to various things, it cheerfully breaks multiple fourth walls, and genuinely makes me laugh at how silly it is while also making me think and plan because it’s also a well-designed tactical RPG. A lot of media (I’m looking at you Final Fantasy Tactics Advance and countless movies) tries to go for a more lighthearted feel by replacing their main characters with children. This is fine if you’re going for a kid’s movie or game, but it’s nice to see something that manages lighthearted without defaulting to childlike. 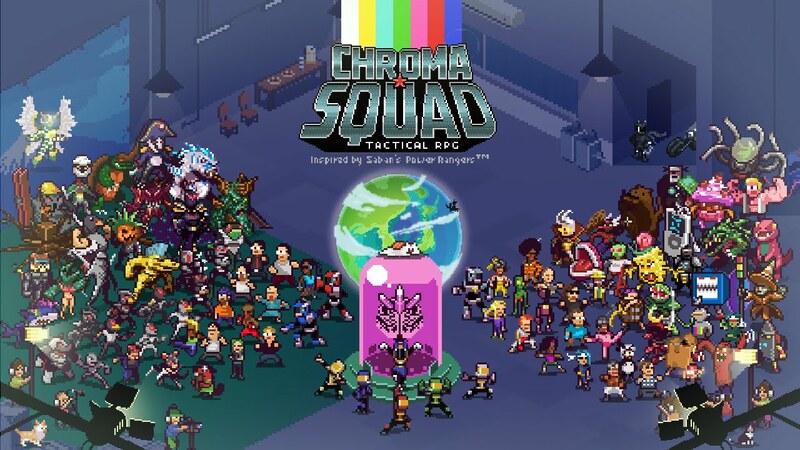 In a lot of ways, Chroma Squad feels cut from the same cloth as the old Lucasarts and Sierra adventure games– lighthearted and fun but without child protagonists. The suggestion is that you can have fun and be serious as an adult — something that I tend to find lacking in games. I’ve talked about how weary I am of “games with emotions” defaulting to tragedy and sadness as their chosen emotion, but it’s always hard for me to find an example of a game that’s both good and emotive but isn’t just a cavalcade of sads. Chroma Squad, for me, delivers on that. It starts with the premise, which I can’t even summarize without it sounding silly but fun. As an aside, “silly but fun” is probably the theme of the game, and it really delivers on that. 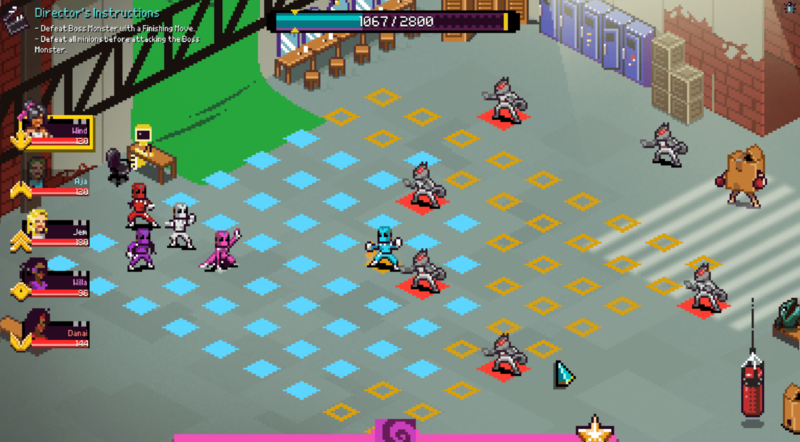 Chroma Squad is a tactics RPG where you play as actors recording a sentai show. Basically it’s a game where you play as Power Ranger’s stunt actors and gradually get a better budget for cooler effects and flashier fights and monsters. Other stuff happens, too. It’s full of fun little details, too. As you get more fans, you start getting paparazzi that peek in around the levels and take pictures, many of whom are cameos. The game was a kickstarter, so there are frequent loving references to their kickstarter backers throughout– it’s really apparent, as Bel mentioned, that the game is a labor of love. That joy really shows as you play it; you get the sense that the devs were having a lot of fun with it and want you to have fun with it too. It makes the game really charming, and made me happy to play it, as well as laughing along with its (occasionally incredibly terrible) jokes. Having played all the way through Chroma Squad, I find myself really craving more happy games. Stardew Valley was another really satisfyingly happy game, but there are otherwise surprisingly few. I really just don’t have the capacity for the torrent of sads, and I don’t really need them to balance anything out, so it’s hard to find good, emotive games to play. Happy to take suggestions! My pick for next month is Cities: Skylines, partly because I haven’t played a proper city-building game in a really long time now, and partly because I’ve heard so many good things about it and it’s a nice drop-in-and-play sort of game. We’ll see how we feel about it at the end of the month!